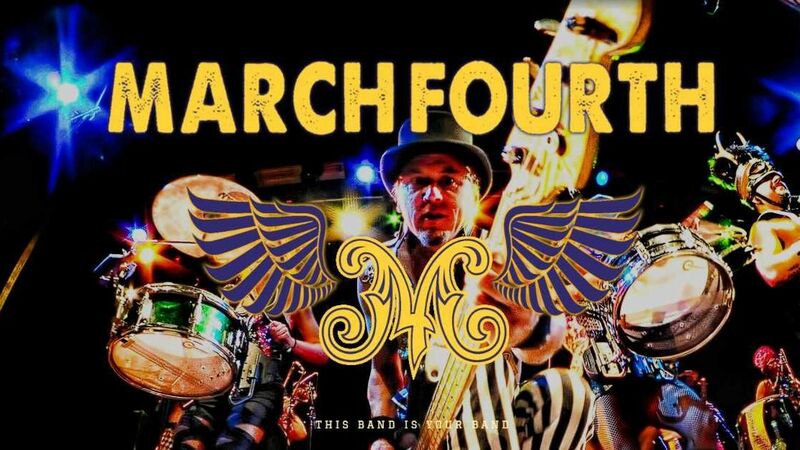 MarchFourth is a joy-inducing force of entertainment, blending brassy funk, rock, and jazz, with a visual dazzle of acrobats, stilters and more. Their fourth studio album, MAGIC NUMBER was recorded in New Orleans, Louisiana with Producer Ben Ellman (Galactic) and Engineer/Producer Mikael “Count” Eldridge (DJ Shadow, Tycho, Galactic, Trombone Shorty) at the helm. The album is full of the captivating grooves and brassy swagger you’d expect from M4, plus a healthy dose of New Orleans magic, with guest appearance by Trombone Shorty, Stanton Moore (drums), and Matt Perrine (sousaphone). The album was fan-funded through Kickstarter (out 9/30/16).